I sit straight up. no…no..No…NO….NOOOOOO! 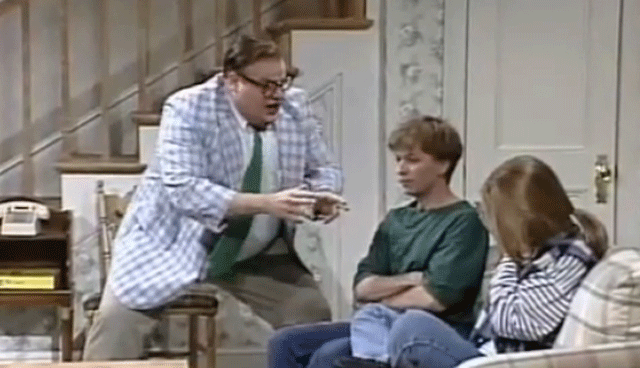 It can’t be…that Chris Farley skit…it’s me! As I shake myself awake I take solace in the fact that at least I’m not living in a van down by the river, I’m living in a van down by the Pacific Ocean…that’s gotta be better, right? I’m reminded of the movie Richie Rich, when the bad guys kidnap the family and get the code to their secret vault at Mount Richmore, only to find that the treasure is merely the family’s precious memories and keepsake items, worthless to the crooks. No gold, no money, no “treasures” as the world would like us to think, just the “stuff” that really matters. I feel like I’ve taken it one step further. The real treasure is the memories…not the “stuff” that triggers the memories. The real treasures are the stories I have, not the trinkets I bought in China, the race medals I’ve won, or that First Methodist Church sign I stole in college (did I ever mention that I’m sorry about that?). When I take my final breath in life, I won’t care about those items, all I’ll have will be the stories in my head. I moved to California in 2006 with a 24 foot U-Haul completely loaded with junk. I moved a few times, eventually living in a palatial 5 bedroom house, filling it with more stuff. In 2011 we downsized and moved to a 2 bedroom condo and started giving things away. Then, we downsized again, moving into a 372 square foot apartment, and gave more junk away. Next, I spent 136 days hiking the Appalachian Trail and living out of my backpack. With renewed commitment I wanted to take it to a new level and live a very simple life. The decision wasn’t all mine though, I was married at the time. Ultimately, our life paths were too different and I ended up on my own again, ready to make changes to simplify my life. As I transitioned into the next stage of my life I considered my options. I couch surfed for 6 months. I thought about buying an RV and living in a trailer park in Santa Barbara, but the space was still $850 a month. 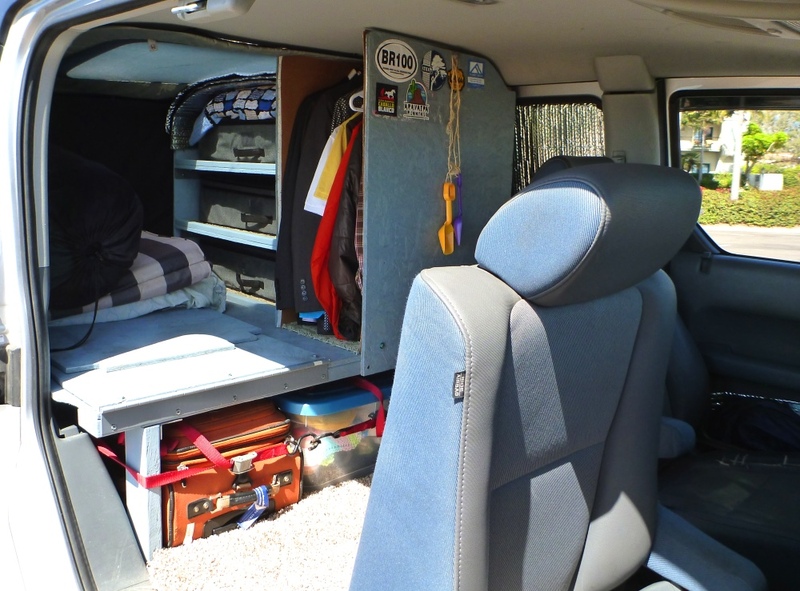 I test drove a VW Rialta campervan, but it was $20,000. 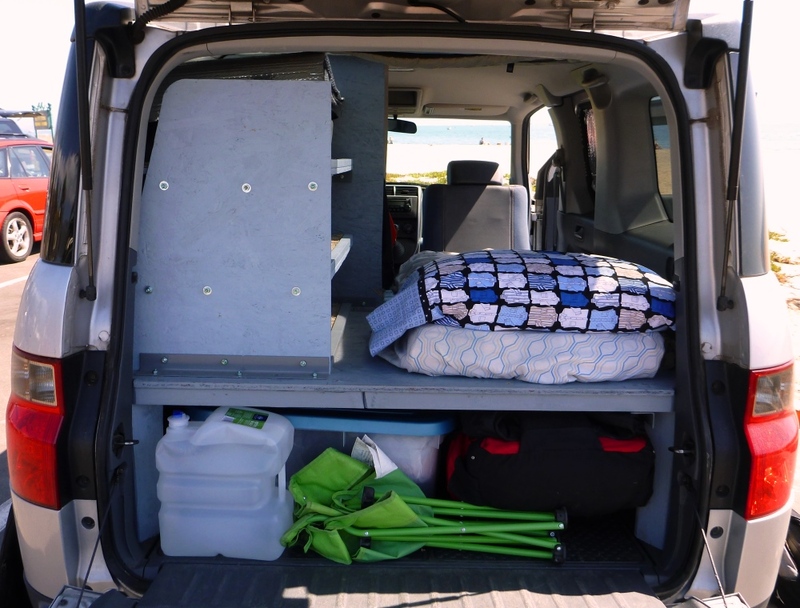 I started shopping for pickup trucks, but instead I bought back my Honda Element from my ex-wife and drove it 2,300 miles to Indiana to build a custom campervan. I read blog after blog about car camping, urban camping, truck camping, and campervan living. I had a design in my head but no idea how to build it. My step dad Tom had the skills, the shop, and the materials ready to go. Tom and I worked on the car for a few weeks, making changes, measuring once, fixing later, and completing the final product the morning that I left to drive back to the west coast. I’ve been living in my car now for several weeks, parking it around town, sleeping incognito on the streets, and holding down a respectable professional life at the same time. When I tell people this they tend to fall into one of two camps…the “You’re crazy” camp, or the “You’re freaking awesome” camp. There have been more crazy votes than awesome votes, but I’m okay with that, I take that as an indication that I’m living right. So, do you want a tour? Step into (or look into) my humble abode! Here is the exterior of my house…Its pretty standard. The car has 160,000 miles on it and I bought it brand new in 2006. I added the roof racks several years ago for surfing, and more recently I added the window vent shades so I can get ventilation inside my home, rain or shine. When the doors are open the Element looks somewhat normal. Tom and I built the house to be mostly contained in the rear of the vehicle. There is a fold down bed extender, but during the day it can be put away so I have more access to storage and more space in the front of the car. Part of living simply is to live deliberately and do what I love to do. Right now I want to read. I have a huge list of books I’d like to enjoy, and several of them are in my car now. I used the side pocket of the passenger door as my bookshelf, containing all of the books I own, books that I intend to read and then give away so I can get new ones. Rear seats removed and living setup installed. The first thing I did was remove the two back seats. We built a flat platform across the entire back area of the car, stretching from the rear door frame to the back hatch. There are three sets of support legs (2×4’s across the width of the vehicle) that the platform rests on. The middle support is secured to the frame of the vehicle where the rear seats used to lock into place, ensuring that everything else we built would be solidly tied to the frame itself. My closet and wardrobe – I’m a dirtbag, but I still have a real job. Above the platform we divided the space in half. The passenger side of the platform is where I sleep. The driver side of the platform has been built to include a closet and 3 shelves for my every day needs, i.e. clothes. The closet is a simple all-thread bar that attaches both pieces to make a solid structure. My suites and shirts hang from custom hangers, we cut off the tops and I attach them to the bar via Velcro or custom bent hooks. The three shelves were built specifically to hold the three cloth boxes in them. The boxes are ridged and slide in and out easily. They contain my jeans, shorts, t-shirts, socks and underwear, running gear, and hats. During the day my pillow slides between the top bin and the roof, saving more space on the platform. This piece folds out to complete the full length sleeping platform. The sleeping side is simple, a flat board with a folding extender on a hinge. At night I pull the passenger seat all the way forward and fold out the footer and support piece. They slide into place and are cut to sit in the bottom of the floorboard so it won’t slide out on accident. Fully extended I have 6 feet of space from head to toe. The bed made and ready for urban camping. A fancy bed? Naw, my mom was throwing out some old glider pads and I grabbed them for myself. Sure, they smell like the outdoors, but that is my plan! I lay them out on the particle board and pull an old twin bed sheet around the corners. It may not look like luxury, but remember, I slept on the dirt for 4 and a half months, this is like heaven! 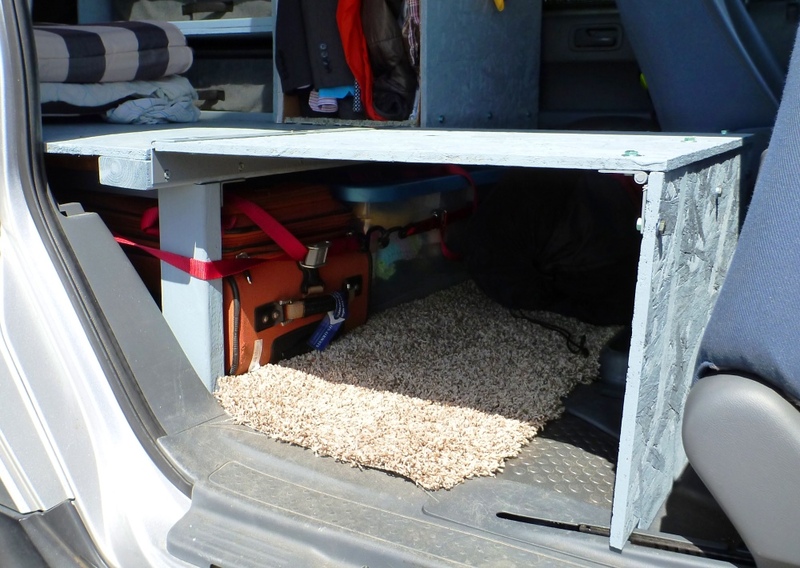 The rear hatch open and access to the storage under the platform. Under the platform I have 5 storage zones. On the drivers side I use 3 plastic bins. One has my kitchen stuff and food storage. The middle bin has my tools and other items that I don’t need very often. In the back I have my running gear, items I need weekly, and my dirty laundry bag. The passenger side has a carry on suitcase with my shoes stuffed in it, and my backpack with all of my outdoor gear, tents, and toys stored inside. My backpack lays on top of a two burner propane stove that I use for cooking, and I have my kid sized foldout chair and a 2.5 gallon jug of water stored next to it. And that’s about it folks…it’s not much, but it’s my home. So again, why would I want to do this? I’ve been thinking about other mobile people, living a different lifestyle away from a house and a foundation. Think about retired Americans who have worked 30-40 years to purchase a million dollar RV to live on the road. I’m essentially doing the same thing, but without the million dollar RV, and more importantly, without the 30-40 years of work it took to get there. I’m saving myself the trouble and living simply now, getting out of the rat race, enjoying the freedom of mobility, while saving money for the future (or for future adventures). For now I’m enjoying Santa Barbara, working in a dynamic tech startup, hanging out with friends, spending more time in the mountains and at the beach, and trying to get out of town 2 to 3 weekends each month and live on the road. While in town I have the freedom and flexibility to do pretty much whatever I want after work, and since I don’t have a house or a kitchen, a lot of what I do is outside at the beach or spending time at a friend’s house to help cook dinner and enjoy time hanging out. 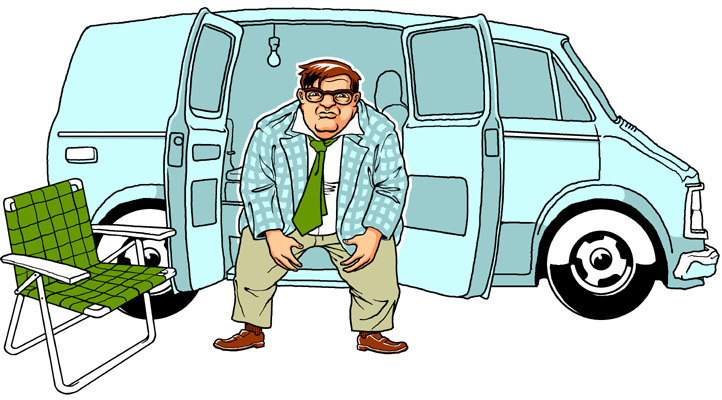 Of course, that is only friends who are happy to hang out with Matt Foley, Motivational Speaker and the guy living in a van, down by the ocean. Be careful if you invite me over…I might just decide to stay! Now, you kids are probably asking yourself, “Hey, Matt, how can we get back on the right track? !” Well, as I see it, there is only one solution! And that is for me to get my gear, move it on into here, ’cause I’m gonna bunk with you, buddy! We’re gonna be buddies! We’re gonna be pals! We’re gonna wrassle around! Ol’ Matt’s gonna be your shadow! Here’s Matt, here’s you! There’s Matt, there’s you! Me and my buddies! My pals! My amigos! I’m gonna go get my gear! Thanks Abby, your dad was a huge help on this project!! Ha, actually, he WAS the project! You are such a baller! Love following you and your crazy adventures! Thanks buddy, hope to get brews with you again soon! I love it!! It’s awesome!!! Ha, and the outside of my van don’t look near as good as the van you had for Born To Run! I’m proud of you living life your way. The car way of living would not work as well here in E.TN but I do it a lot anyway. When I returned from thru hiking the AT I did not want my house and possessions and I too have been paring down. Thanks for being such an inspiration. Love you. Thanks Mamaw! Love following your adventures on Facebook! Thank you Kate, it’s been a great lifestyle change for me! Oh my god, can I hire you to do this to my Honda Element??? Ha, this build was a cut first, measure later type of process…I’m sure building it out the second time will be WAY easier! Hey Chris! 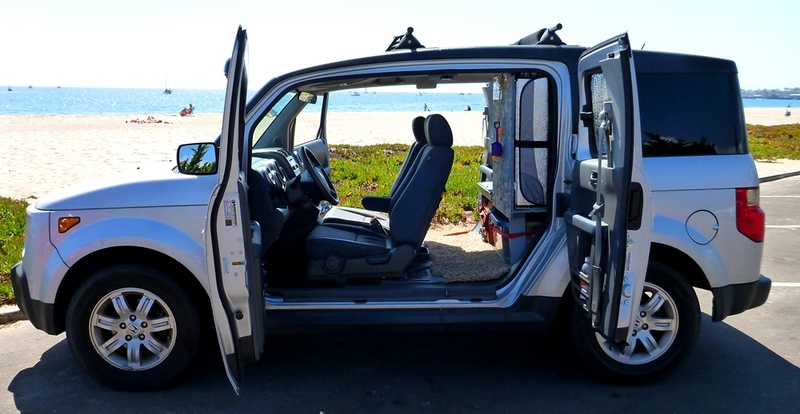 We’re thinking about converting our Element for an epic road trip next summer. Can you tell me a little more about your window ventilation you mentioned at the beginning? We’ve seen people make netting to put over open windows, but we were concerned with security or someone trying to get in. Thanks! You spoke my life in your words!!! Why? Why they heck not!. Love it and hope that in 2016 you are still enjoying your life to the fullest. Thanks Mimi! I’m having a blast still, hope you are too! Love this post ❤️ I’ve been planning what vehicle will be best for me and my dog for long trips, and the element seems like the one so far. It’s really helpful to see how you use it personally, and still have room for sleeping with so much storage. Thanks for the post! Hey! Just bought my Element (finally) after a long time searching! I’m planning on living out of it while I travel around for an indefinite amount of time, promoting my brand-new business. I really love the layout of your buildout – I found a few others, but the functionality and storage that yours offers is amazing! I want to do something really similar but have a few questions about materials, measuring, etc…. Would you be willing to let me pick your brain a bit? Thanks! I came home from Japan, bought a 2006 E and am presently trying to ready mine for the road. It’s in perfect condition, I sought it out for 2 years. Researching, studying the car……I know this car better than any car I have ever had. I have obtained everything but a decent layout because I want it to be perfect and minimal, not glam camping. The Japanese made this car because they love to camp and are also minimalist, who take naps daily. But Americans are living real lives in them. I can’t wait for my adventure. Sadly I will be leaving a husband, at home, whose idea of fun is a couch and remote. I wonder what he’ll do when he notices I’m gone…….about dinner time. I bought my Element last summer and built a platform bed with storage boxes under it. I went on a weekend adventure and ended up not liking my build. It’s hard to access everything and makes the space actually feel smaller! I’m wondering if you have any build plans or measurements/materials you might be able to share with me? I really love the simplicity and functionality of your build! I built mine myself, not knowing how to really do much. I had a sander, jigsaw, hammer and screw gun. Lol. I Love my build and living in my E! I have a hot water heater, chemical toilet, stove, galley, power supply for running a fan,of charging phones, tablet/laptop etc.plentyorage. I also have propane heat because it’s gets cold in the mountains. Oh and a fridge. I haven’t had to use the fridge yet but it’s getting warmer. I cook most of my meals in my E. I also live with my 2 pups. Life is good. My friend calls it home free instead of homeless. 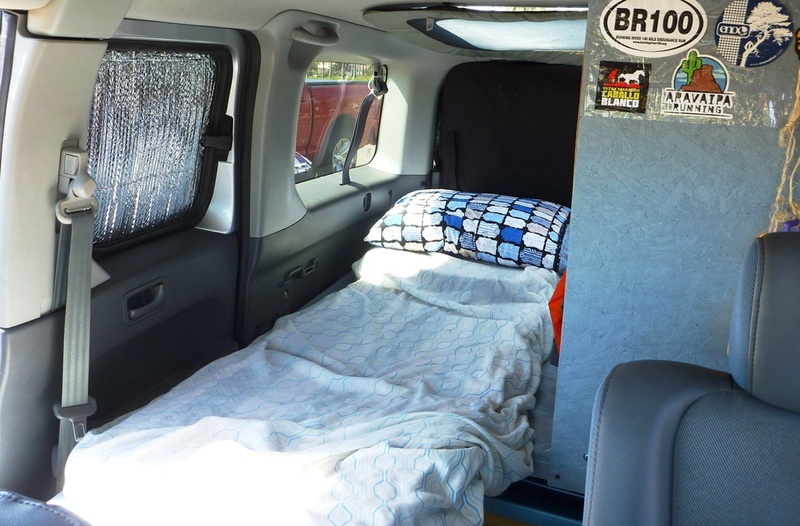 Going to be buying a Honda Element to do just this very thing. I went across the US 9 times in Hyundai Tucson m, an Acura RSX & a Jeep Cherokee Sport. 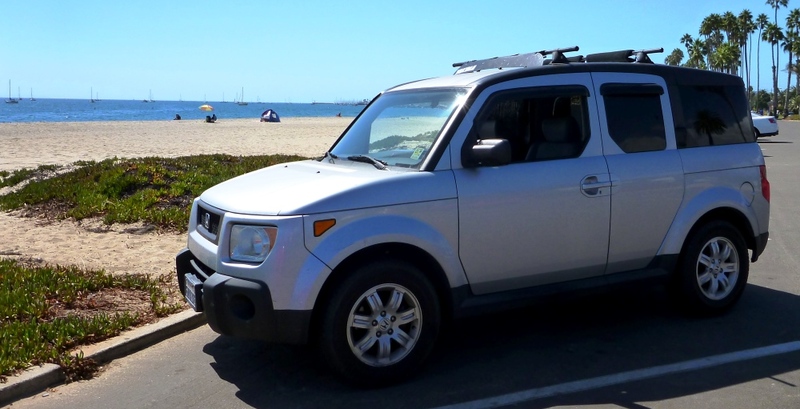 Looking to do the Honda Element as a real living in a car situation though while traveling and setting it up as such as the others were uncomfortable as could be. I would love to be able to refer to you for advice as needed. Hey! 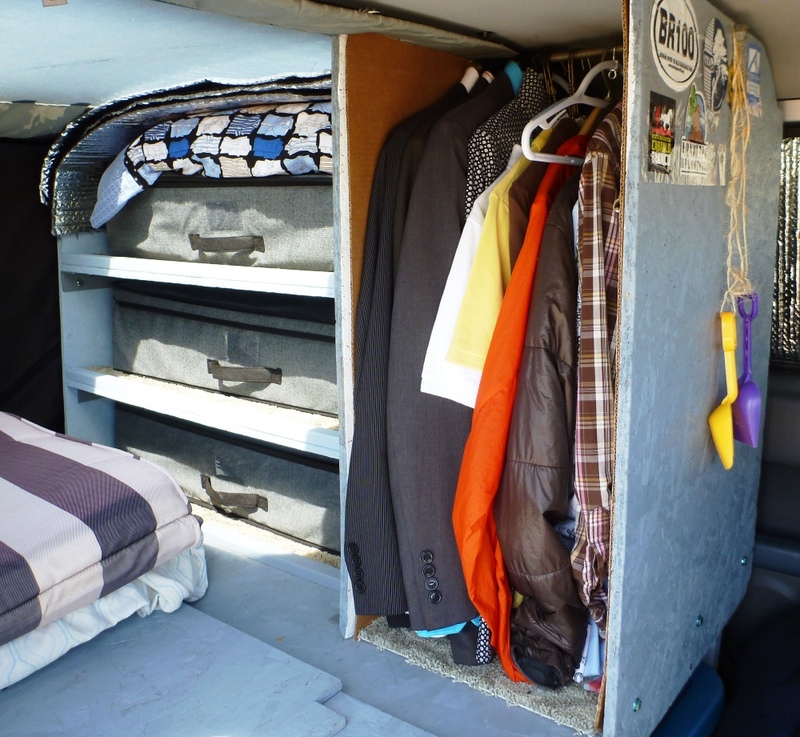 I just googled Honda Element shelves and found this page…I’m about sleeping in my car for a job that is 7 on 7 off. I don’t want to rent an apt —rather put the money in to traveling during those 7 off days. (Oregon Coast). That sounds awesome! I definitely enjoyed the Honda Element and its a great vehicle to live out of, good luck and have fun!!! I love living in my E! !